Bob Kane has been representing businesses in labor and employment matters for more than 40 years. He started when he was very young. 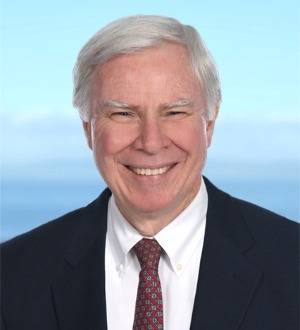 His practice has covered the gamut of labor and employment issues in practically every industry, including, in particular, health care and health care related companies. He represents employers in collective bargaining negotiations and in proceedings before the National Labor Relations Board. He regularly deals with the federal and state administrative agencies that enforce the employment discrimination and wage and hour laws. He has handled many investigations and hearings on behalf of employers before those agencies. Bob defends employers in lawsuits filed in both state and federal courts and in arbitration alleging wrongful discharge, harassment, discrimination and retaliation, and various other employment related claims. He has resolved innumerable disputes on very favorable terms for employers, including in mediation, but also has handled many cases through trial before juries, judges and arbitrators, usually with excellent results. He has also represented employers as plaintiffs when former employees and their new employers have engaged in misappropriation of trade secrets, unfair competition or related torts. In the last ten years when such lawsuits became fashionable, Bob has defended many employers in wage and hour class actions, obtaining excellent results often at a total cost that is far less than that charged by other firms. Bob prides himself on counseling clients on everyday employment situations helping them achieve their business objectives while minimizing the chances of litigation. He has many long term clients who will attest to his practicality and accessibility. He answers his own phone and is reachable by clients at all hours, seven days a week.